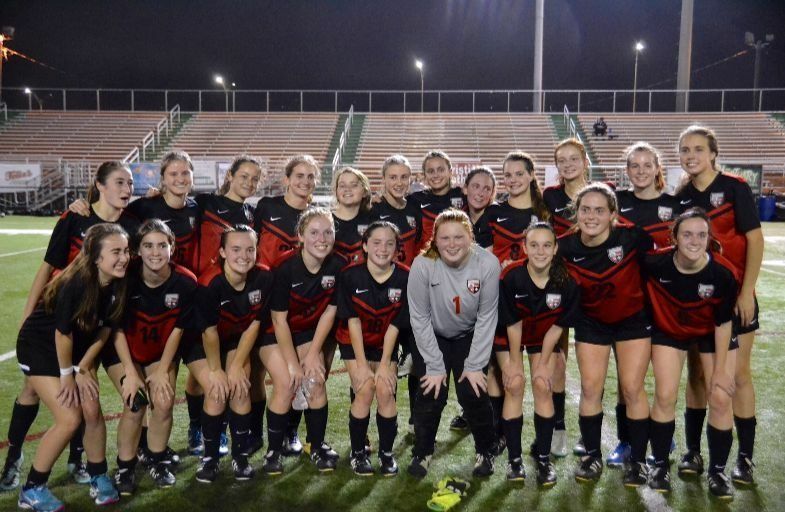 McGehee scored all three of their goals during the last nine minutes of the February 6 match to rally past Country Day, 3-1 at Pan American Stadium. It was the Cajuns that got on the board with a quick goal six minutes into the match. For most of the game our Hawks maintained possession of the ball and fired several shots on goal only to be denied by Country Day’s talented Goal Keeper. It was in the game’s 71st minute that McGehee got the equalizer from Rosie Odem ‘19 during a scramble in front of the Cajun’s goal. Laura Butcher ‘19 put the Hawks ahead to stay just minutes later, blasting a shot into the upper right corner of the goal. Taylor Bienvenu ‘21 provided any insurance the Hawks would need with a beautiful low cross shot that found the lower left side of the goal. McGehee advances to the State Quarterfinals on Monday, February 11 in Lafayette to take on Ascension Episcopal at 5 p.m. These two battled to a 0-0 draw a few weeks ago, so this one promises to be another exciting match. Go Hawks!